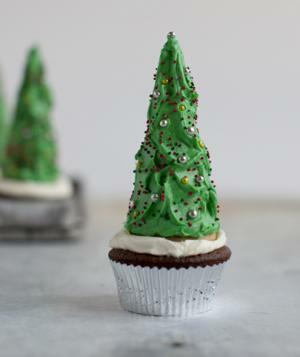 Use green food coloring to dye vanilla frosting, then coat sugar cones with the cheerful spread to create Christmas tree cupcake toppers. Adorn your “tree” with sprinkles and nonpareils. If you’re decorating a gingerbread house this year, make a few extra cones to stand alongside your creation.